This past week I scored some new kites on Ebay. Three, new-in-package, Sutton 4 flowforms were up for bids and I won two of them. Sutton flowforms haven’t been in production since around 2010. They were made by Air Affairs in Pennsylvania and came in several different sizes. Though I believe the largest sizes were only made by custom order. One of the first kites my husband bought was a Sutton 16, a mid-size flowform. 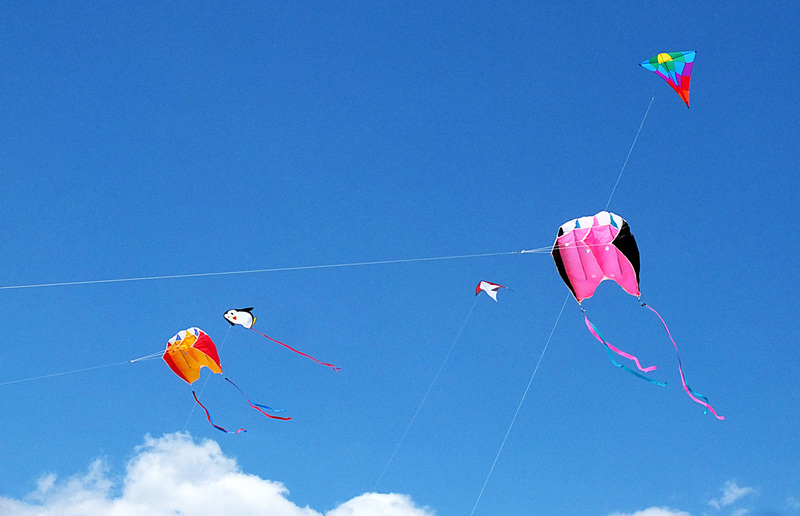 My two Sutton 4s are the smallest of the Sutton family of kites. Saturday night I made tails for the two Suttons and got them ready for an inaugural fly at the regular weekly kite fly at Fort Macon State Park. As usual, the wind was low and it was doubtful that the little guys would fly. But the weather was the best it has been in quite a while so it was a day not to be wasted. Brett, from the Kites Unlimited kite shop, arrived and together we got them up long enough for me to get some images. 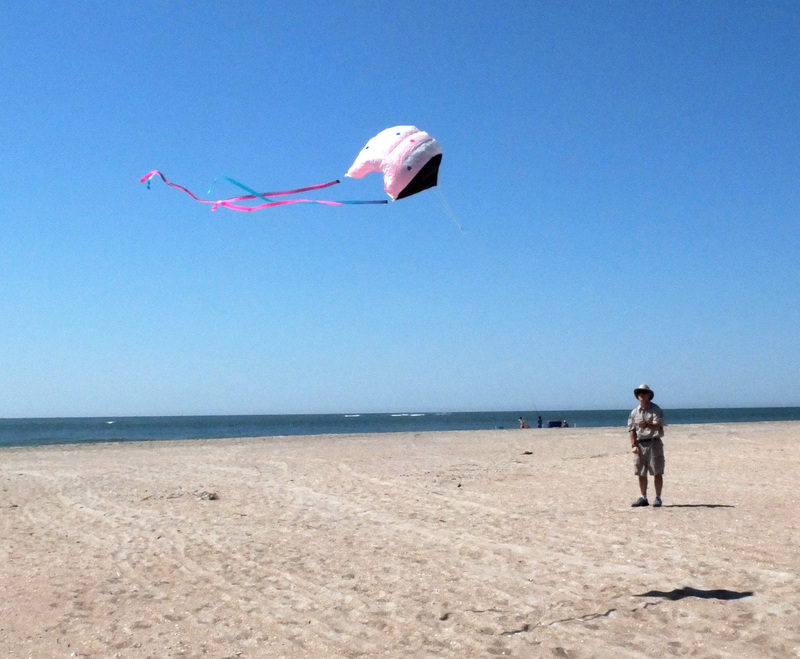 Then I packed them away, put up a Skate and sat back to enjoy the peaceful beach and visit with other kite fliers. My husband joined me later with a kite he had bought a couple of days before, a Malay Diamond by Into The Wind. 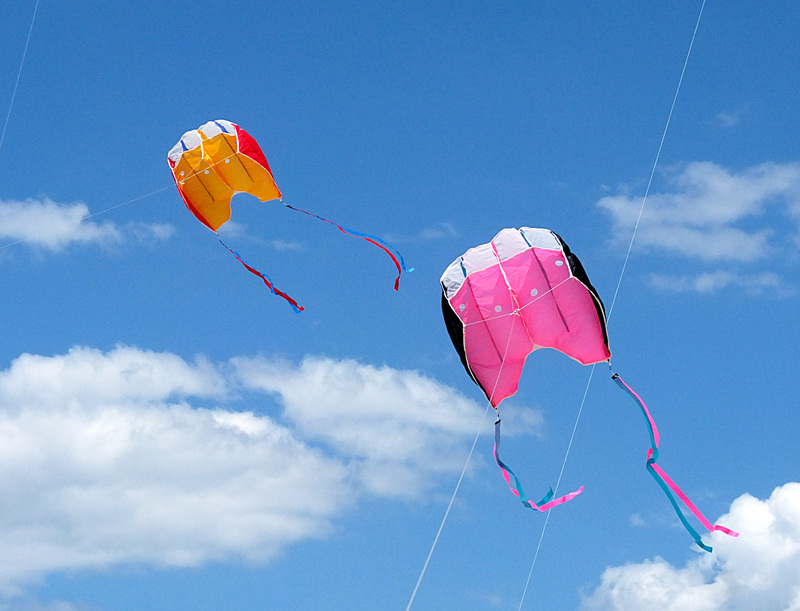 It is a very large diamond kite which comes in two color variations. John chose the one entitled “Sunrise”. It should be no surprise that the other one is entitled “Sunset”. The wind was still low when he got there but this kite went up like a dream and hung in the sky like it was anchored there. So easy and so beautiful. 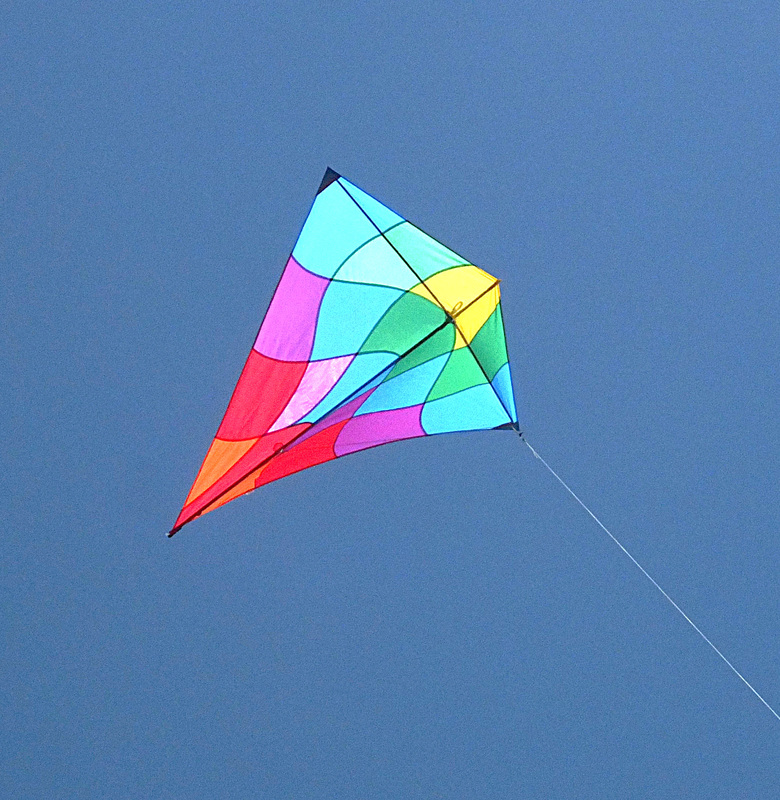 In higher winds, we have a rainbow streamer tail to add to it for greater stability. Not needed today. As the afternoon approached, the wind picked up and I was able to fly the Suttons. They flew very well with a little more wind. We ended up with quite a nice display in the sky. All kites flying calm and steady. And we fliers relaxing on the beach, enjoying the beautiful, beautiful day.